Jake Farrow is a hunting guide in Africa that recently had his ticket jerked for helping a client shoot a lion on the Masai preserve. We find him wallowing in boredom when a mysterious man shows up and offers him an exorbitant sum to guide a hunt - location, prey and client undisclosed. Farrow reluctantly takes the job and ends up in New York. Turns out Farrow's client wants him to track and kill a bank robber, Clel Bocock, who shot his son during a robbery. Farrow’s reservations to that kind of work are overcome by the apparent brutality of Bocock and, of course, the dollars offered by his client. The chase takes Farrow from the swamps of the deep South, to Chicago, Yellowstone, Barstow and points between. Along the way he meets Marget, Bocock’s sweet little swamp babe. Marget catches Farrow’s eye but he thinks he leaves her behind when he leaves swamp country. From there the hunt doesn’t quite play out as Farrow expected. "You’ve already asked for trouble” said Loob in his sweet voice, "Just by meeting up with me. Maybe you don’t understand how much Bocock means to me. I’m a fellow with plans, Farrow, big ones. If I can be the one to put the finger on Bocock - no matter where he’s holed up - there’ll be no stopping me. I’m the county official who built the biggest city hall in Iowa, but that’s just the first step for me. When I catch Bocock the whole state and country will know about me. In the political game you got to make a splash. You got to get your name in front of people, no matter how." For a moment you think the novel is going to take a very strange and very interesting turn. Farrow spends some unpleasant time with Loob, but the story resumes its course. The novel ends with a couple of showdowns, nothing too surprising or fantastic but with credible action and good gunplay. Wade Miller was a pseudonym for the writing team of Bob Wade and Bill Miller. Together they wrote a pile of pulp novels. Here is a good site summarizing their work. I’ve read some interesting things about their Max Thursday P.I. series. I’ll be reading one of Mr. Thursday’s adventures very soon. 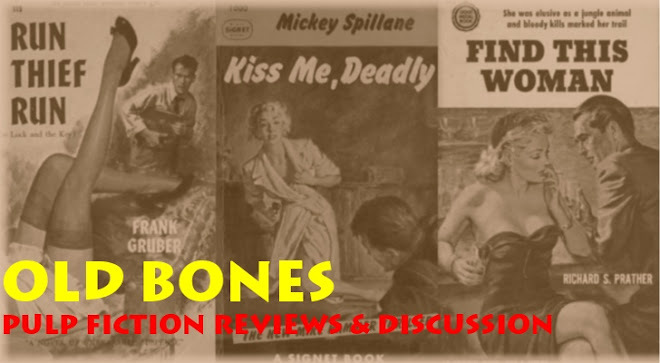 Christopher Grant over at A Twist of Noir was nice enough to publish my first attempt at flash fiction, a piece entitled Sue Me. You may peruse it here. My writing obviously isn't in line with the exceptional talent usually featured on A Twist of Noir and the other flash fiction blogs noted in my blog list, but I really enjoyed putting pen to paper. I appreciate Christopher's feedback and his willingness to throw my work out there. Up In Honey’s Room takes place in the waning days of World War II. Walter Shoen, described as the most boring man alive, is a German butcher living in Detriot. He believes that he is Heinrich Himmler’s identical twin and considers himself a loyal Nazi. He is hiding two escaped German POWs on his farm. Carl Webster is a federal Marshall tracking the escaped POWs. We also meet several other members of an alleged German spy ring including the maniacal cross-dressing Bohdan Kravchenko. At the center of this cast is Walter’s ex-wife, Honey Deal. Honey is a carefree and beautiful blond that seems to instantly seduce every man she meets. Carl enlists Honey to help him get at the POWs through Walter. Carl soon finds himself in a battle with both Honey’s seductive ploys and the ridiculous maneuvering of the spy ring’s hapless members. 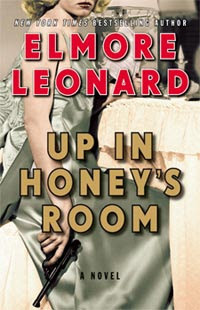 Up In Honey’s Room is trademark Leonard from start to finish. It is entirely dialogue-driven - sharply drawn and humorous characters having funny and entertaining conversations. The plot is particularly threadbare and there isn’t much gun play or other action. The spare and somewhat languorous nature of the plot have subjected Up In Honey’s Room to a fair amount of criticism, most calling it a middling entry in Leonard’s catalog, at best. I don’t read Leonard for complex or innovative plots, nor do I expect much action. What I do expect is exactly what Honey delivers, memorable characters that capture and hold my imagination, together with loads of entertaining dialogue. Honey isn’t as rich as Tishomingo Blues or quite as funny as Mr. Paradise, but it immediately captured my attention and I liked the wacky cast of characters. I don’t have any quotes because I listened to this one on audiobook. Honey delivers a quick, entertaining story. 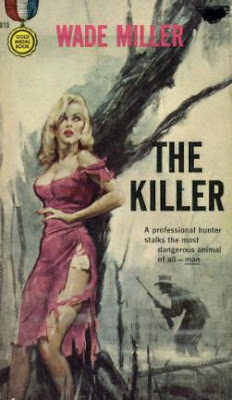 The Carl Webster character was the subject of Leonard’s previous The Hot Kid, which was more favorably reviewed and is next on my audiobook list. I think it no coincidence that Hard Case Crime published Casino Moon and Fake I.D. back to back. Both novels star protagonists named Russo and basically tell the same story - Russo is a down on his luck loser stuck in a dead-end life. He wiles away his time dreaming of a way out. An opportunity presents itself. Seems too good to be true at first, but the idea is soon embraced and pursued with unerring zeal. Russo soon finds himself taking small steps in the wrong direction, making small compromises in the name of attaining his goal. Eventually, of course, Russo ends up in uncontrollable downward spiral. Casino Moon stars Anthony Russo, the adopted son of an Atlantic City mobster. Anthony’s father is constantly hounding him to follow in his footsteps and fully embrace a role in the outfit, while constantly trying to convince the local boss to “make” Anthony, even though he doesn’t have the requisite Sicilian blood. Anthony is not enchanted with mob life. He deplores the crime, the cheap clothes, and perhaps most of all, the company. A life in the mob is the last thing Anthony wants. At the same time he finds failure around every corner. His business ventures fail and he has to rely upon his mob connections to stay afloat. As the pressure mounts, Anthony sees salvation when he meets an ex-boxing champion looking to make a comeback and convinces him to let Anthony be his manager. As Anthony tries to get the champ on the card of the next big fight, he finds himself heading down the very path he so desperately wanted to avoid. "But pride and ambition were no match for seven hundred years of tradition and the lessons Vin had drummed into me. If you’re brought up a certain way, you can spend your whole life denying it, but eventually some part of it’s going to come out. All the houses seemed low, gray, and falling apart. No matter how much I’d struggled and hustled, it seemed I hadn’t really gone anywhere." Casino Moon is rich in detail and dramatically invokes the seedy world of Atlantic City and the rather pathetic mobsters that inhabit it. You find yourself pulling for Anthony, though you know he is doomed. Where Casino Moon is rich and involved, Fake I.D. is brutal and direct. Tommy Russo is a gambling addict, nurturing a dying dream to be an actor. He keeps himself in business by working as a bouncer in a New York City bar. While sitting in his car waiting for the track to open, Tommy is presented with the opportunity to join a horse-owning syndicate. Although skeptical at first, Tommy soon becomes obsessed with the idea and begins a quest to put together the 10 grand he needs to join the syndicate. Of course, Tommy finds himself going further and further in the wrong direction as he tries to put together the cash. When he does get the money, he has sown the seeds of his destruction. All Tommy can see, however, is how is going to be a big-shot horse owner. While Anthony Russo is sympathetic, Tommy Russo is not. Anthony seemed to have no way out, like he was a victim of unavoidable destiny. Tommy, on the other hand, seems to ignore possible sources of salvation in favor of a runaway freight train of self-destruction. You are left wondering whether Tommy started out good, or whether he was rotten to the core all along. 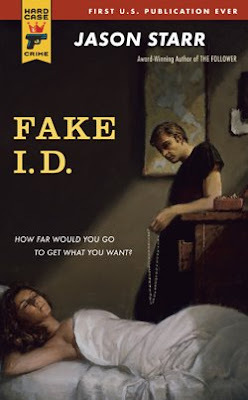 Reading Fake I.D. is like watching a building fall down or a spectacular crash, you just can't turn away. Casino Moon and Fake I.D. provide a wonderful example of two very distinct ways to build a story from a common plot. I would imagine that Charles Ardai picked these two novels for back to back publication by HCC for that very reason. Ultimately, I preferred Fake I.D.’s punch to the face directness over Casino Moon’s detailed dramatic arc. 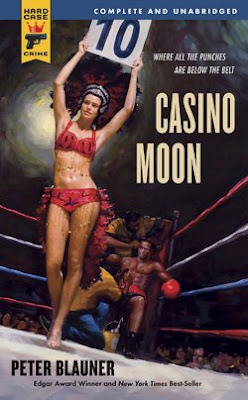 That said, Casino Moon is very well done and provides a gritty alternative to the all-to-common glamorized mobster stories, without losing the rich detail any good mobster story needs.